JelloApocalypse, who brought us the “Welcome To [website]” series, decided to marathon every single major Disney Movie ever released. 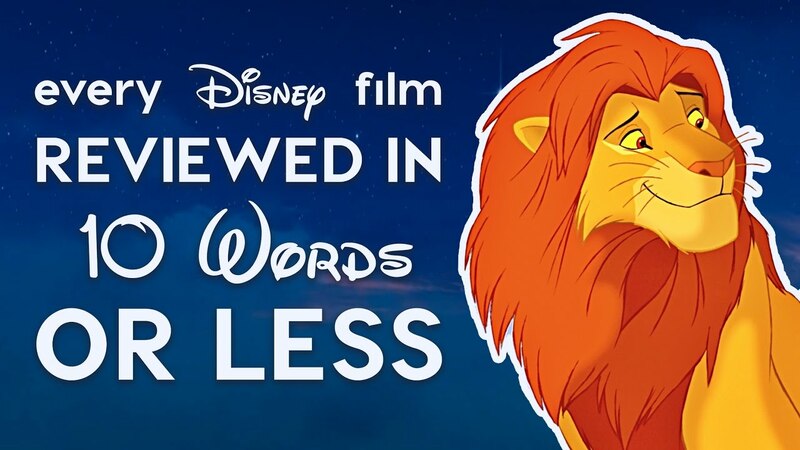 And because he didn’t really want to do a full review of them, he just reviewed them in 10 words, and then explains his top and bottom 5 Disney movies. So, where does Zootopia place on his list? Well, for sake of spoliers, I’ll just say… find out after the break! This was a well-made video, and he obviously put a lot of work into it. But, personally, I rate a LOT of these films way higher than he did. Maybe it's because I'm a Disneyphile, but… well, it is what it is.